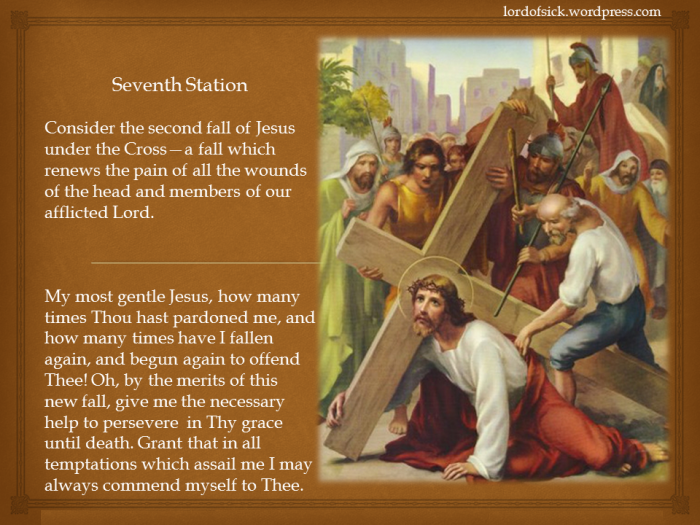 Stations of the Cross or Way of the Cross; in Latin, Via Crucis; also called the Via Dolorosa refers to a series of artistic representations, often sculptural, depicting Christ Carrying the Cross to his crucifixion. 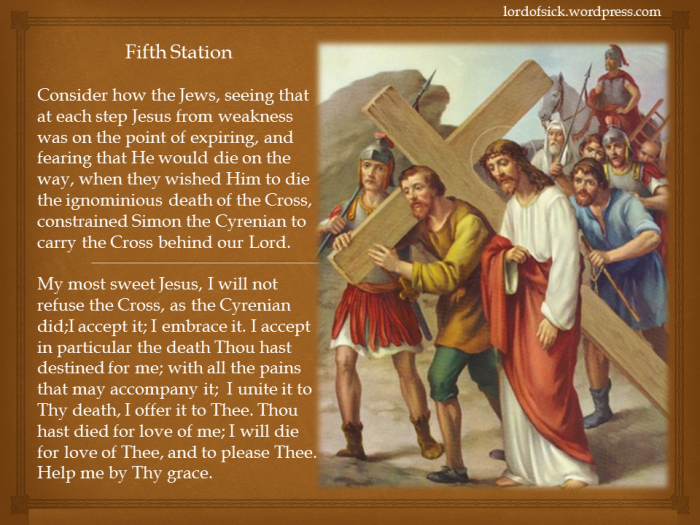 Most Roman Catholic churches contain Stations of the Cross, typically placed at intervals along the side walls of the nave; in most churches, they are small plaques with reliefs or paintings. 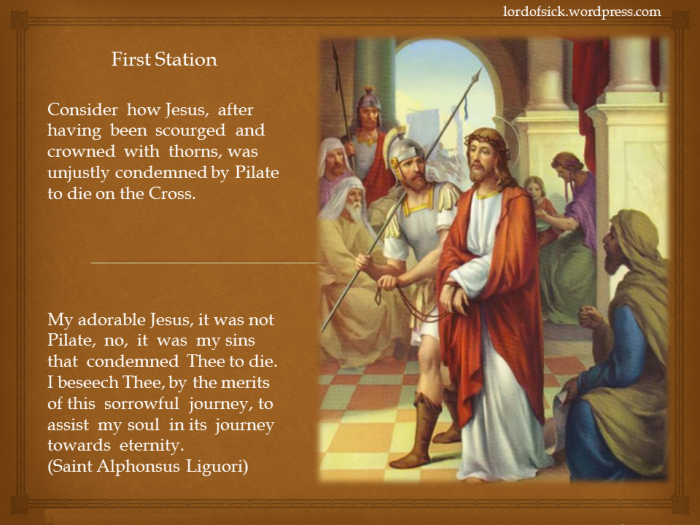 The tradition of moving around the Stations to commemorate the Passion of Christ began with St. Francis of Assisi and extended throughout the Roman Catholic Church in the medieval period. 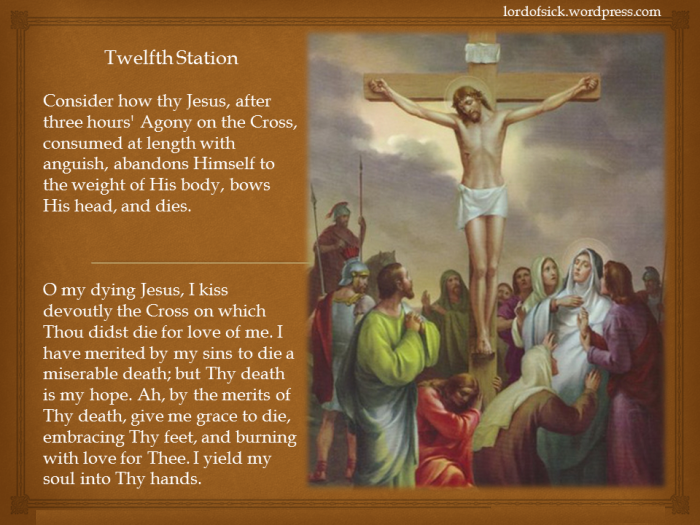 It is most commonly done during Lent, especially on Good Friday. 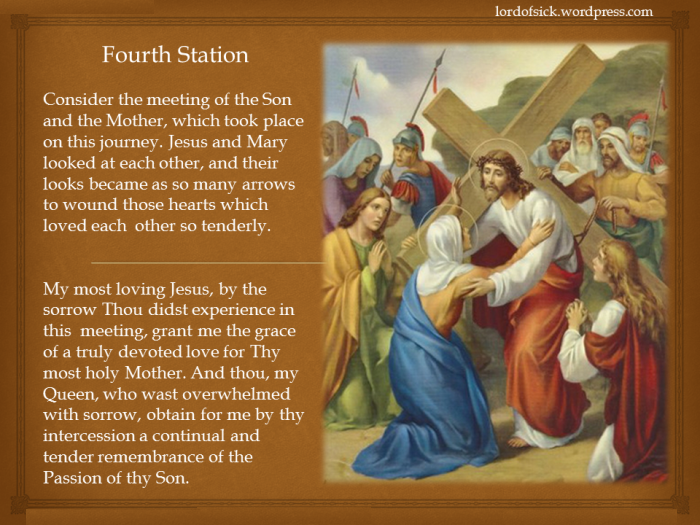 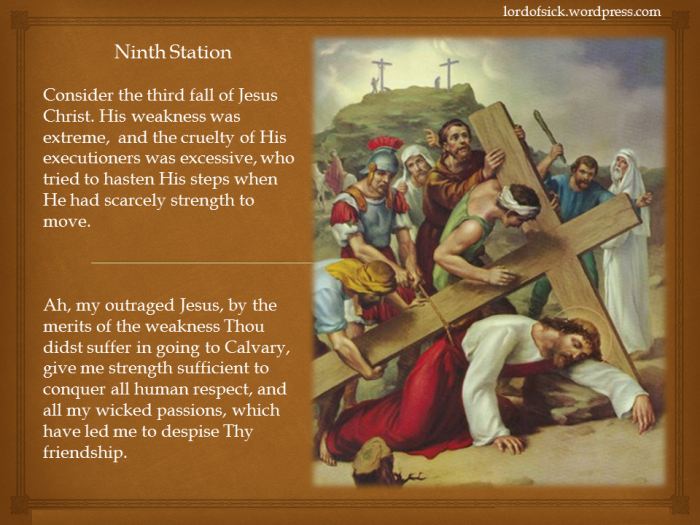 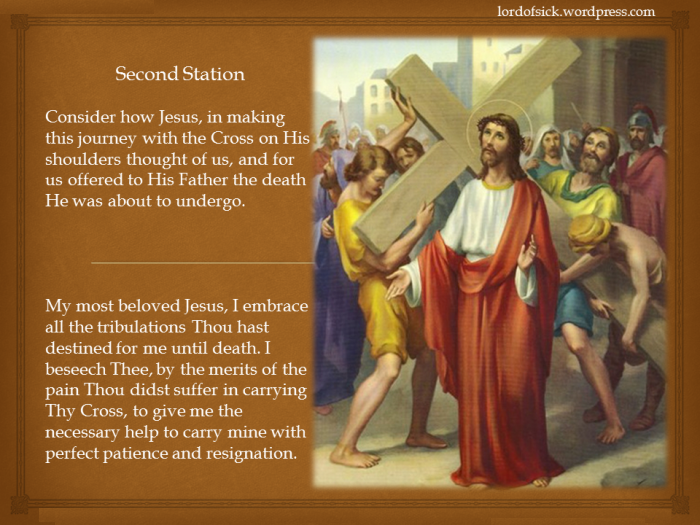 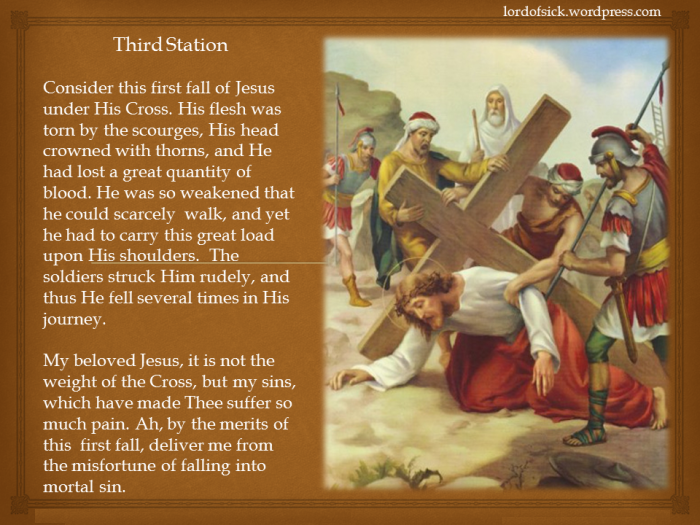 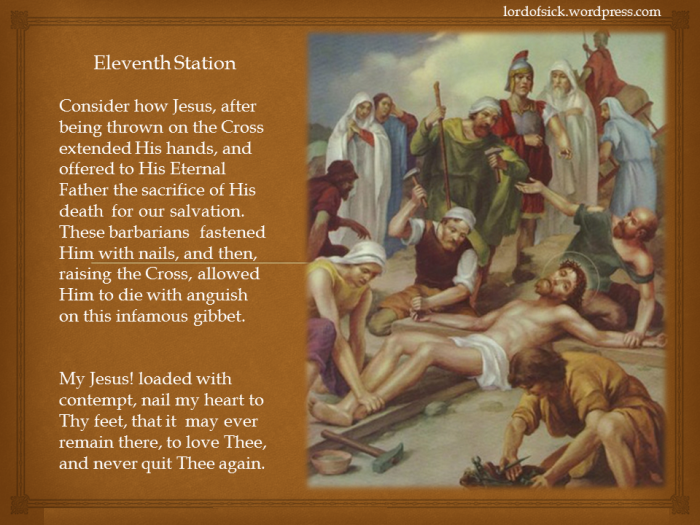 Below are photos of Stations of the Cross created by adding photo and narration. 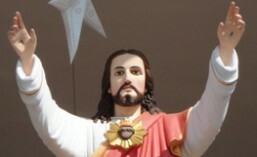 You are free to download the photos. 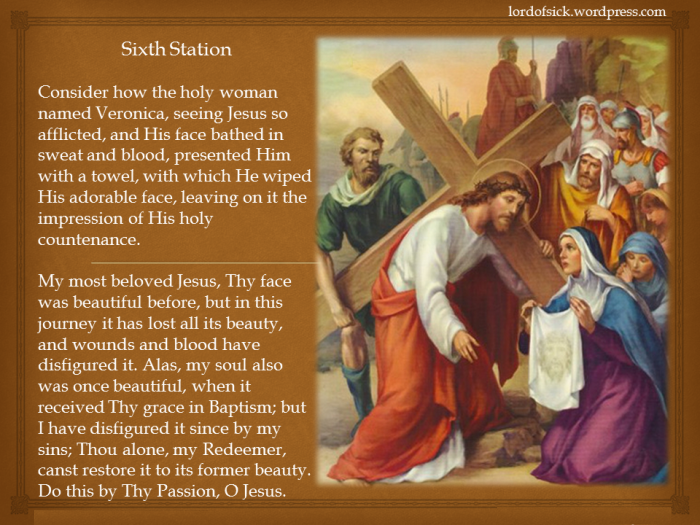 I will be grateful if you share your comments about these photos.